Schools and public transport are among the areas that will be affected by a nationwide day of strike action next Tuesday (2 October), which has the backing of three major Belgian trade unions. Demonstrations are planned on Tuesday in Antwerp, Ghent, Leuven, Namur, Liège, La Louvière and Brussels - where a march will set off from Central Station at 10.00. The FGTB, CSC and CGSLB unions are striking against federal government reforms to pensions and the retirement age. "In 2025, we will have to work until age 66. In 2030, it will be 67," the FGTB said. 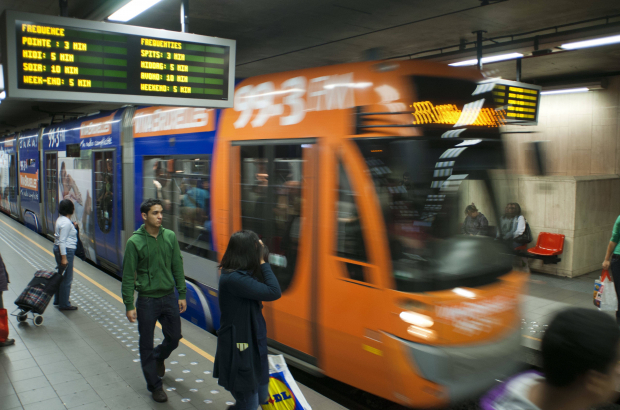 In Brussels, Stib buses, trams and metros are likely to be disrupted. The public transport operator says it will keep passengers updated in real time via its website, app, social media and call centre (070 23 20 00). TEC transport services in Wallonia are also affected. There is no word yet from the SNCB or Flemish operator De Lijn. So, because they work in areas that people rely upon, public transportation, and because they have the "right to strike," they can punish the hard working people who unfortunately work in jobs that give them no such power. Does anything really ever change when they do these pre-planned work stoppages? To me, an expat, it all seems so completely pointless. I think you've picked the wrong country to be living in if you are so aggravated by strike action. It is one day and warning is usually given well in advance. I am an immigrant to Belgium and I am proud to live in a country where people are actually able to strike. You cannot say the same for many countries.